Roger Knight is the Founder and Managing Partner of Lakewood Capital. Before forming Lakewood, Roger served as Managing Director of Ardshiel, Inc., a $150 million private equity firm whose funding was provided by GE Asset Management and the GE Pension Trust. Former Managing Director and founding member of Coopers & Lybrand Securities Management Committee, Roger has focused on the middle market for nearly twenty-five years. Roger brings a broad background in financial services, including banking, credit, M&A advisory, financing and private equity investing, to Lakewood’s partners and investments. He has worked on numerous transactions involving both privately-held family businesses and divisions of Fortune 500 companies, as well as international enterprises. This broad base of experience enables Roger to appreciate, analyze and manage through the unique qualities associated with mid-sized transactions. Roger currently serves as Chairman of the Board of Eliason Corporation, a leading provider of doors to over 6,000 accounts in a variety of industries, including restaurants and other food service, retail, education, health care, general industrial, and government/military. 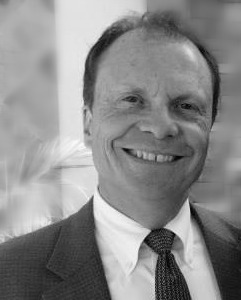 He previously served as Board Member and head of the Compensation and Audit Committees for the Atrium Companies, a $600 million designer, manufacturer and distributor of windows and doors in the United States, and Member of the Board and the Audit Committee of HB&G, a specialty manufacturer of synthetic building products, including small and large scale columns for use in residential and commercial markets. Roger received his Bachelor of Arts in Economics from Trinity College - Hartford, CT, and a Masters of Business Administration with distinction from The Wharton School of the University of Pennsylvania. In addition to leading Lakewood Capital, Roger is the President of Rowayton Little League, founder and Tournament Director of the Eastern States Platform Tennis Championships, and leads the Strategic Planning team as an elder of the Noroton Presbyterian Church.